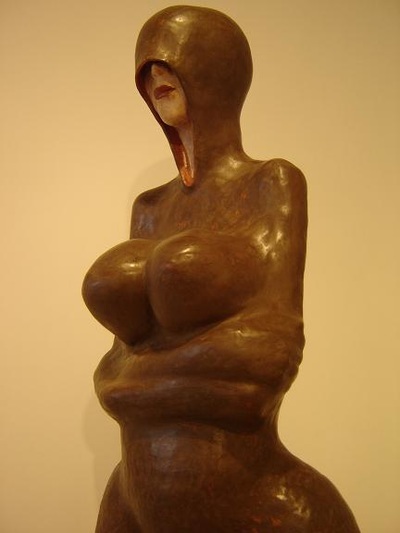 An exercise of sincerity in which Lucian Ţăran reveals the feminine features and characteristics. 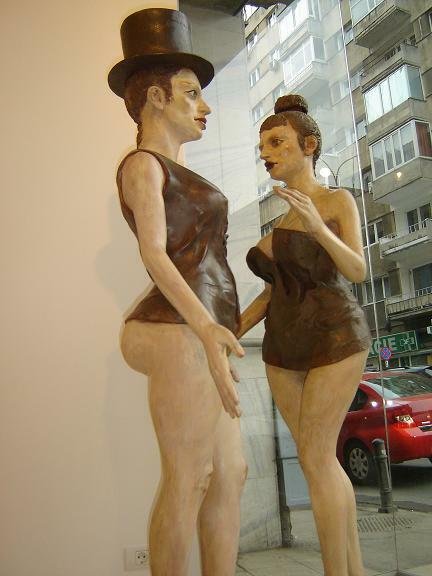 “My Girls”, the suggestive title of his exhibition, must be approached without any false prudery or false prejudice. 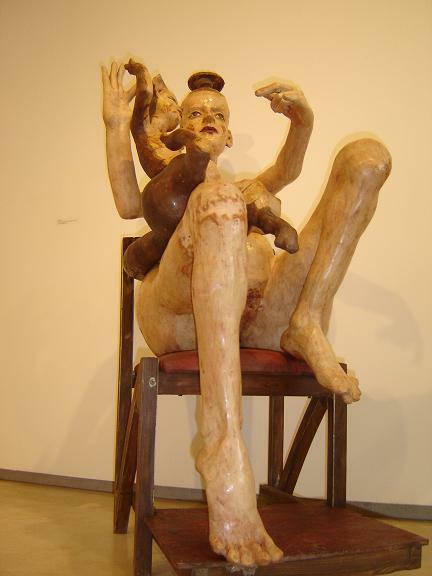 Lucian Ţăran graduated the National University of Arts, Dept. 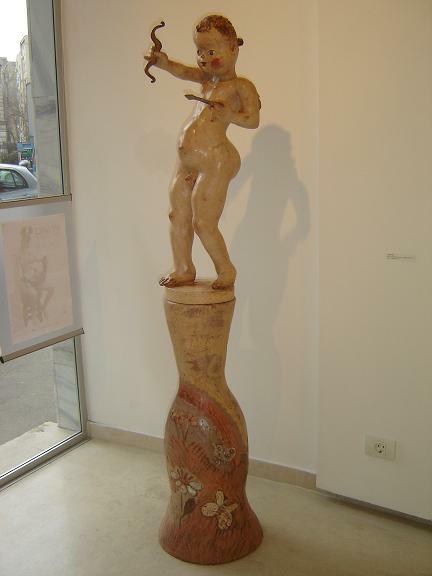 of Sculpture, in Bucharest (Romania), in 1996. 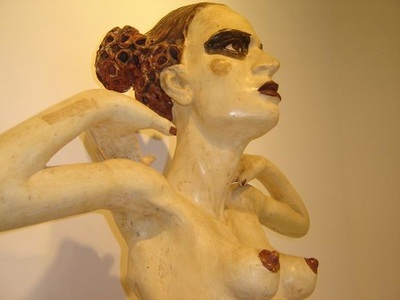 He has since developed and updated traditional ceramic-art techniques, while transposing them into sculptural projects. 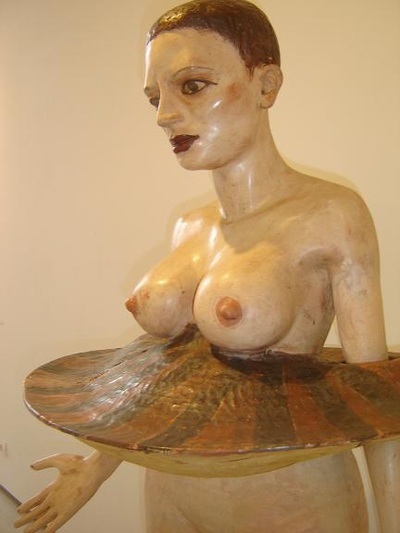 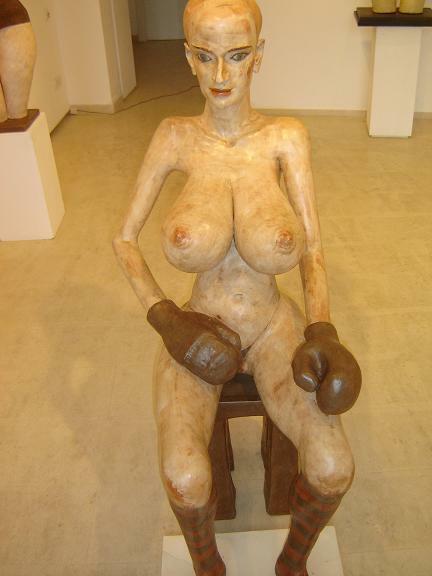 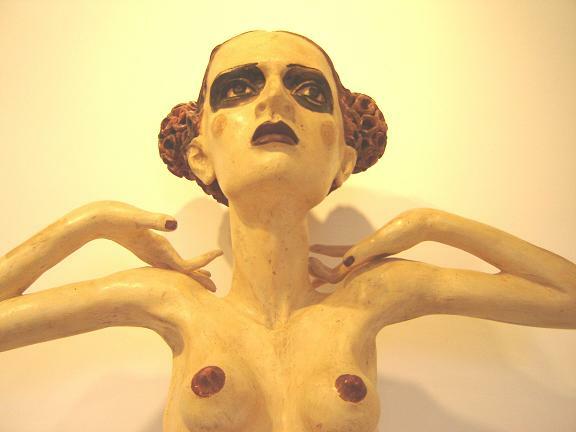 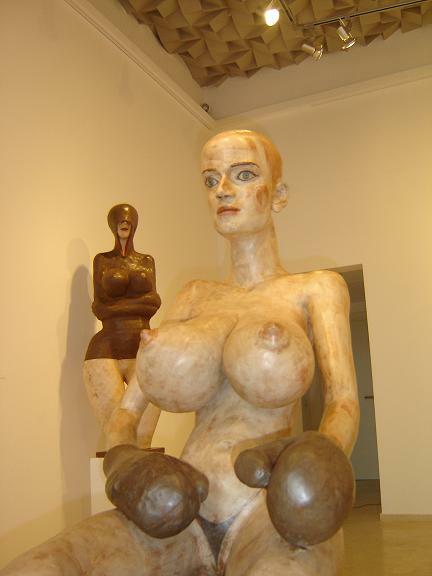 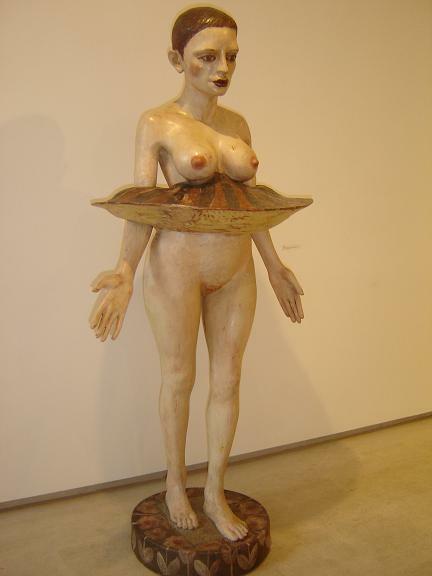 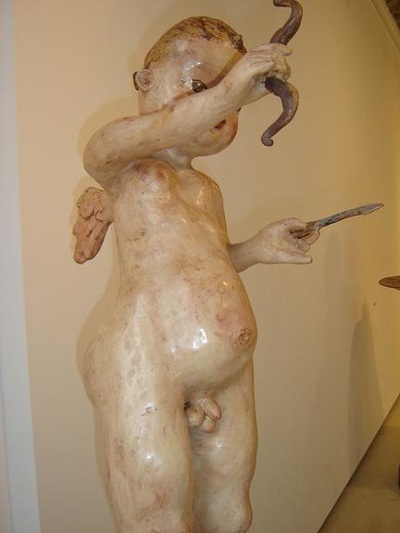 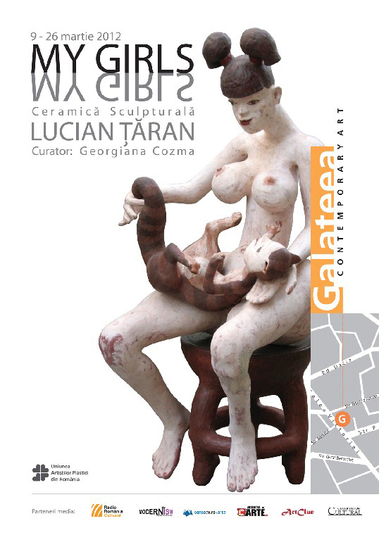 In 2005, at the Orizont Gallery in Bucharest, his “Common-sense Sculptures”, displaying terracotta objects – or cats with breasts, the way everybody remembers it –, was the first solo exhibition “stamped” with Lucian Ţăran’s brand. 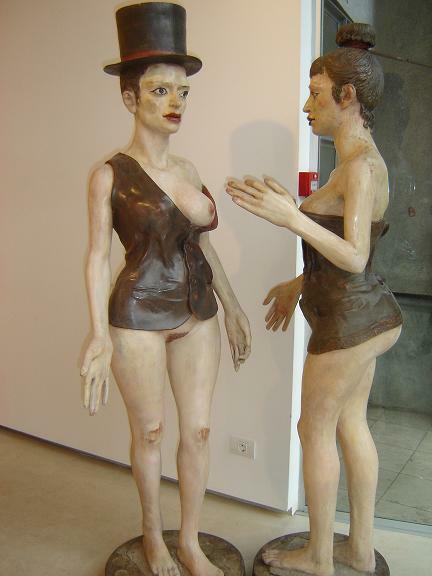 In 2007, Prof. Adrian Guţă invited him to exhibit one of his terracotta girls at the Ianchelevici Museum of Louvière (Belgium). ​Since 1993, Lucian Ţăran has been present in group exhibitions opened in Romania, Greece, Austria, Hungary and Belgium.